His one and only subject was light: the light that flows through nature and objects, that can transform anything in just a few seconds: trees, flowers, seas, even faces. That was his obsession. To try to capture the kind of fleeting illumination that changes everything. Call it impressionism and you will understand why he, Claude Monet, can now be considered the incarnation of the movement that transformed the Arts at the turn of the last century. 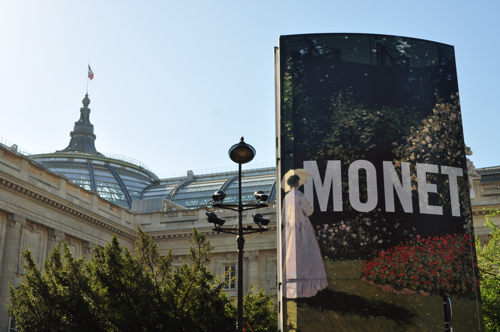 From tomorrow and until 24th of January 2011, the Grand Palais will be showing the most complete, delightful and surprising exhibition ever shown of Monet, convincingly organised along thematic and chronological lines. 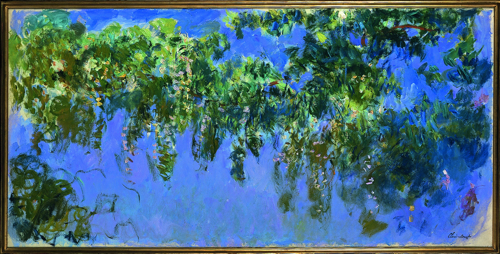 Claude Monet 1940-1926 is complete, or rather representative, because the curators have succeeded in gathering 180 of the most important works out of his stunning oeuvre of about 2000 paintings. 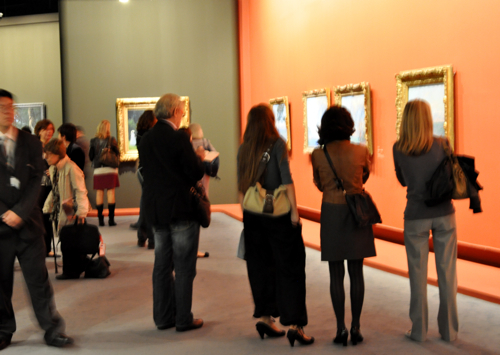 But above all this show is surprising, because it allows us to rediscover a painter we think we know too well. Most of us have seen at least one or two of his paintings, that are scattered all over the world. 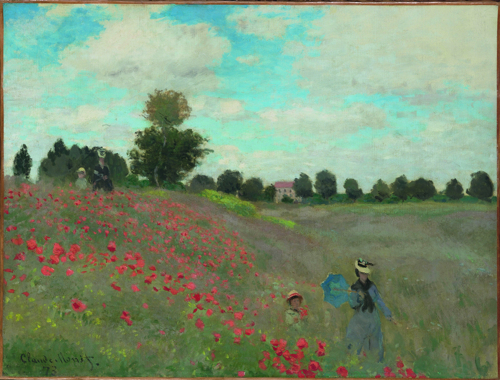 We all have been inundated by tons of reproductions and have become used to seeing “a Monet” on coffee cups, aprons and umbrellas. And then, this: an encounter. All of a sudden you are in front of the real work and you can feel the obsession, the fever, the thing that makes all the difference. Take Le soleil couchant sur la Seine: Monet mastered the moment. Or La Gare Saint-Lazare with its steaming locomotives that made Emile Zola, the writer and realist, say: “Our painters have to find the poetry in train stations just as their precursors found the poetry in woods and rivers.” And then you find yourself ibefore the portrait of his wife Camille on her deathbed, where pain merges furiously into beauty, a touching testimony to Monet’s art and a breathtaking moment of intensity. The exhibition retraces how Monet gradually constructed his approach to nature and how his studies of light and atmosphere became increasingly important in his work. He would regularly tackle the challenge of painting outdoors. Depending on the seasons, would return, soaked, frozen stiff or sun burnt. Nature was his school.